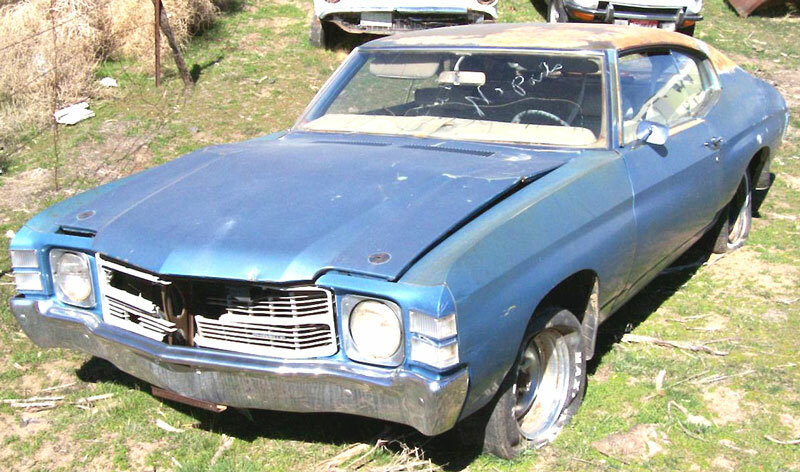 This blue 1971 Chevrolet Chevelle 2 door hardtop is a nice, solid, straight project car ready for restoration or customization. It is an A/C car. The hood is bent but we have a good hood that comes with the car. The bumpers are good. The grill is broken. The windshield is broken but the rest of the glass is good. The right door is dented. The trunk lock is missing. The left quarter is dented at the top back. The bench seats are all there. The gauges, radio and glove box door are missing. 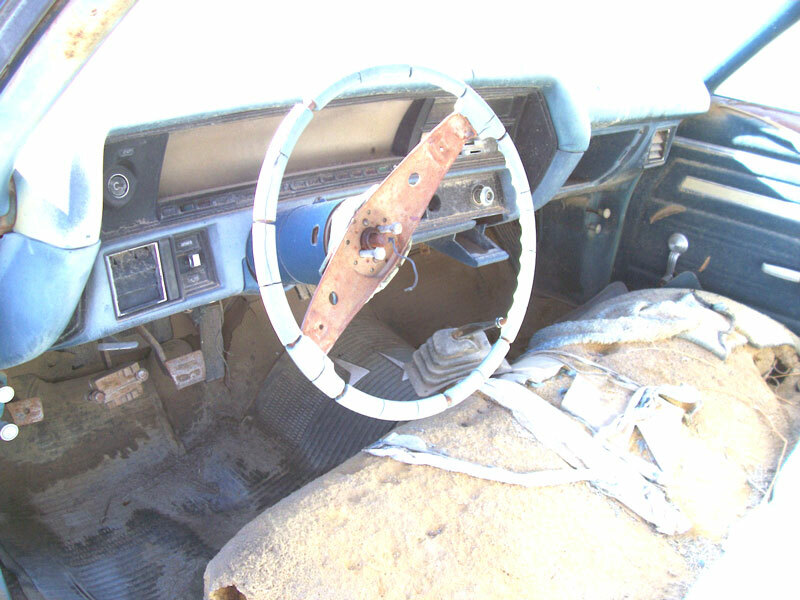 The steering wheel is cracked and missing parts. The floors appear solid but they have not been thoroughly inspected. The car has been converted to a manual floor shift. It is unknown if it is a 3 or 4 speed. 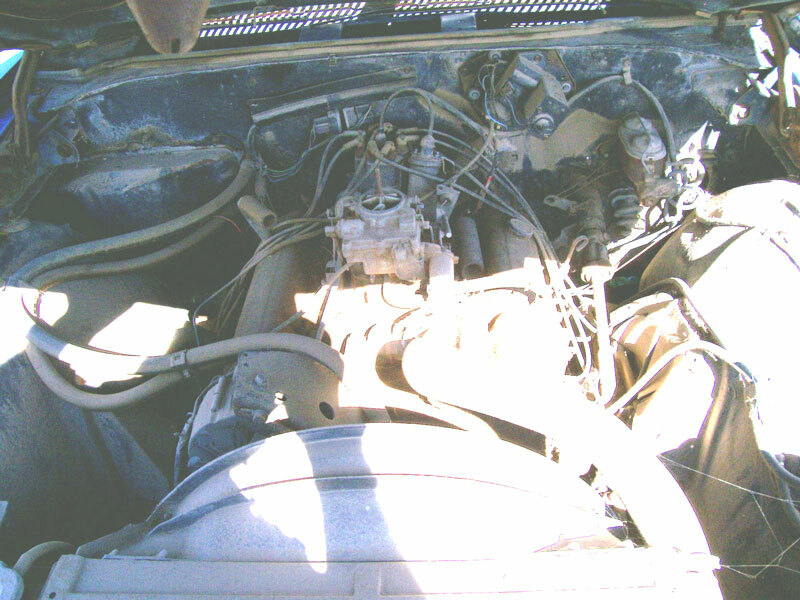 The motor is either not stock or the air conditioning has been removed. It appears to be a 307 CID or 350 CID 2 barrel V-8. The running condition is unknown. This ever-popular 71 Chevelle coupe is always a winner when restored or turned into a street muscle car. Please call (406) 318-0270 for details. For sale $5,500.